Compact heat exchangers have long been used in many niche areas such as cryogenics, and the food and automobile industries. The cryogenics area includes typical process industry applications of air separation, ethylene plants and LNG plants. With recent developments in manufacturing technology compact heat exchangers are increasingly challenging conventional shell and tube exchangers in other mainstream process industry applications. This, in turn, has stimulated developments in conventional technology. 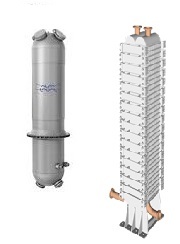 Both developments, in conventional and non-conventional heat exchangers, have increased the number of cost effective solutions that a process engineer can use to address industrial heat transfer problems. The course is specially designed for participants with process industry background, and covers compact heat exchangers from the process engineering perspective. Formerly Technology Director of HTFS Research at Aspen Technology Ltd, UK and Research Director at Paris-Saclay Energy Efficiency Institute, France, Dr Vishwas Wadekar is now Industry Consultant based in France. He has worked with industrial heat transfer for more than 30 years, specializing in compact exchangers and enhanced heat transfer.